In some sports, upsets are innate — most college basketball fans can tell you their March Madness brackets have been busted by a school they have never even heard of. In other sports — such as women’s swim — underdogs are usually right where they belong. The No. 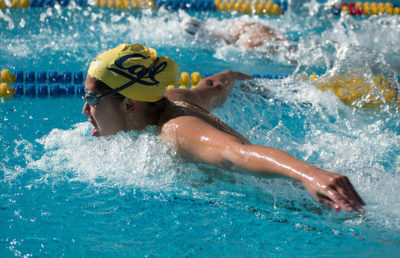 5 Cal women’s swim team (7-0) heads south to Los Angeles this weekend to take on No. 13 USC (6-0) and UCLA (5-3). The Bruins are the meet’s designated underdogs, while the Bears and the Trojans will battle to maintain their perfect records. 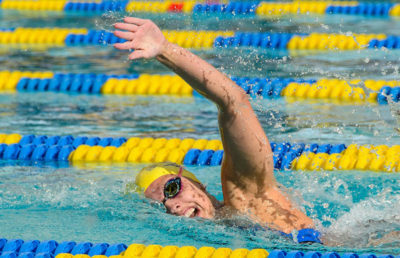 “We’ll definitely have our better swimmers swimming their primary events at USC, but I think (this weekend) is more about just seeing where we’re at racing wise,” said Cal assistant coach Sarah Dunleavy. USC sports some excellent talent on its roster, including sophomore Louise Hansson and junior Riley Scott, who post faster times than the Bears in various events. 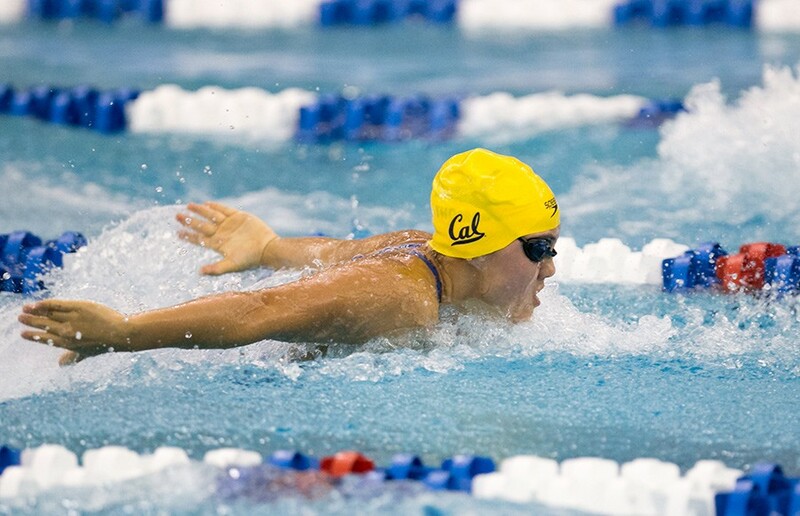 Hansson has the upper hand over Cal senior Noemie Thomas in the 100- and 200-yard butterfly events while Scott is faster than Cal freshman Ali Harrison in the 100 and 200 breastroke. The Trojans will also be a threat in the relay events, as they are neck-and-neck with the Bears’ times, but even taking into account the Trojans’ skill, the upset is unlikely. The Bears have an arsenal of weapons, currently leading the country in five events and more than ready to come away with another win against the Trojans at the Uytengsu Aquatics Center. After the Bears attempt to wreak havoc on the Trojans, they will head to Westwood to try and maintain their perfect season to wrap up another seamless weekend of competition. Against the Bruins, it is likely that more of the “second-string” swimmers will have a go at the water, with top swimmers participating in off events. This weekend is crucial for Cal to make adjustments and tweak its lineups as Pac-12 and NCAA championships loom close. “Wherever we need to put people in to be able to see what we need in terms of information, we’ll have them do those events,” Dunleavy said. In November, UCLA suffered losses to both No. 20 Arizona and Arizona State, but Cal pummeled both desert schools last weekend by margins of 99 and 54, respectively. The numbers speak for themselves, and the Bears should have the Bruins shaking in their boots, even if they don’t face Cal’s top gunslingers. The Bears are leaving cold, rainy Berkeley and heading for some sunny Southern California weather. Cal also left the inclement Northern California over winter break for a bit to conduct training in Hawaii, but the trip was far from a vacation. “During our training trip in Hawaii, we really stressed a lot of different things in terms of technique and changing some things up on people’s strokes or the way that they are thinking about their races,” Dunleavy said. 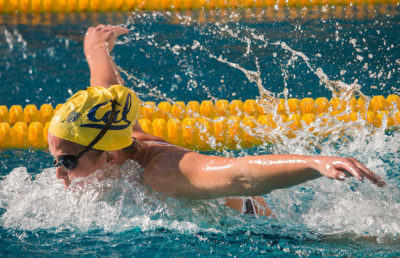 Regardless of weather, Cal women’s swim has proven they can get it done in the pool. And while most sports teams are taught to disregard numbers and go play the game, the higher-ranked Bears are likely to topple their Pac-12 counterparts this weekend.